So many times I have heard people say, “I would eat more plant-based, but it’s so expensive!” That’s why I am really excited to be bringing you Plant Based Recipes On A Budget With The 99! At the end of this post, I’ll share my savings by choosing the 99 Cents Only Store versus a local chain grocery store! My goal was to prepare healthy, plant-based, warmer weather meals for you without compromising quality. 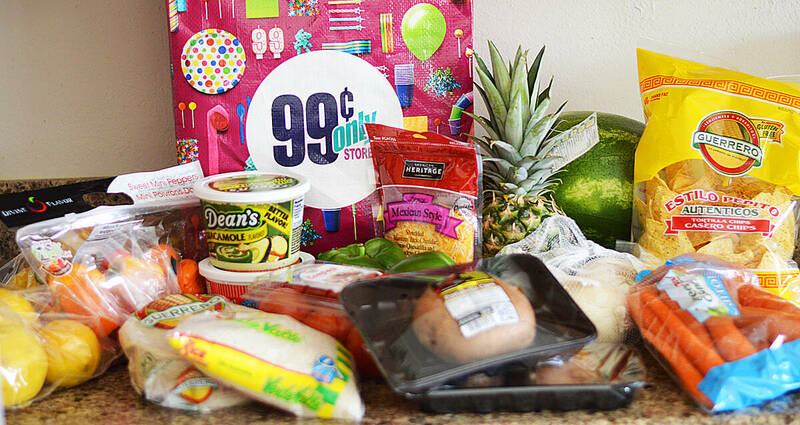 The 99 is a great place to find all your Spring needs on a budget! 99 Cents Only Stores have all of your favorite name brands at a price that can’t be beat and there is always something new and exciting. You never know what you’ll find when you “do the 99”! 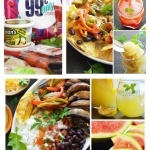 The 99 has fresh, affordable produce everyday that allows you to eat healthy on a budget and I’m about to show you how. If you are shopping on a budget, make the 99 your first stop. Here is a quick look at just some of the produce they carried the day I was there. As the name implies, nearly everything is just 99 cents but there are a few items at the $1.99 and up level. The first meal was a Portobello Fajita Bowl complete with rice, peppers, black beans, a homemade tomato salsa. I offered it with optional vegetarian choices such as shredded Mexican cheese, sour cream and guacamole. If you are vegan, I’ll assume you more than likely already have dairy-free alternatives to these at home. That means you have extra money to spend elsewhere! I served my fajitas with fresh tortillas that were lightly grilled. I purchased a pineapple and two large bags of lemons which in part, made a homemade Grilled Pineapple Lemonade. Last up in this meal, whole watermelon that I cut into wedges for a refreshing dessert. I mean, just LOOK at that meal. It doesn’t look like budget food, but it is! With my leftovers from the previous meal, I purchased tortilla chips to create Fajita Nachos (which were amazing). Top with more of the shredded cheese, sour cream and even some guacamole. 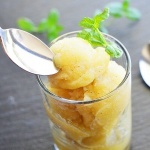 I served it with a super easy watermelon slushie and for dessert, a frozen sorbet made from that same Pineapple Lemonade above. Even after preparing two meals, two drinks and two desserts, you will still have produce and groceries left over. 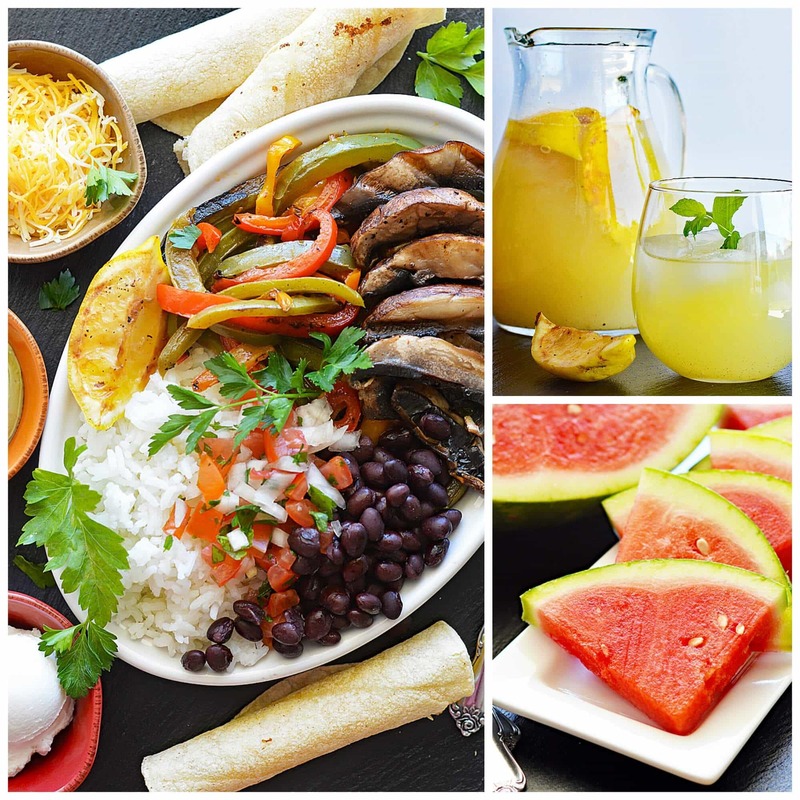 For instance, I had one whole bag of lemons, 3/4 bag of rice, some of the black beans, one whole bag of mini peppers, all of the carrots, a third of the bag of cheese, 3 white onions, 3/4 of the tortillas, 5 Campari tomatoes, most of the guacamole, sour cream and a LOT of watermelon left to slice up. That’s still a substantial amount of food to work with. For instance, you could make rice stuffed peppers, a cheesy quesadilla with toppings or even black beans and tomato rice. After I shopped the 99, I went to my local everyday chain grocery store that I shop at frequently. 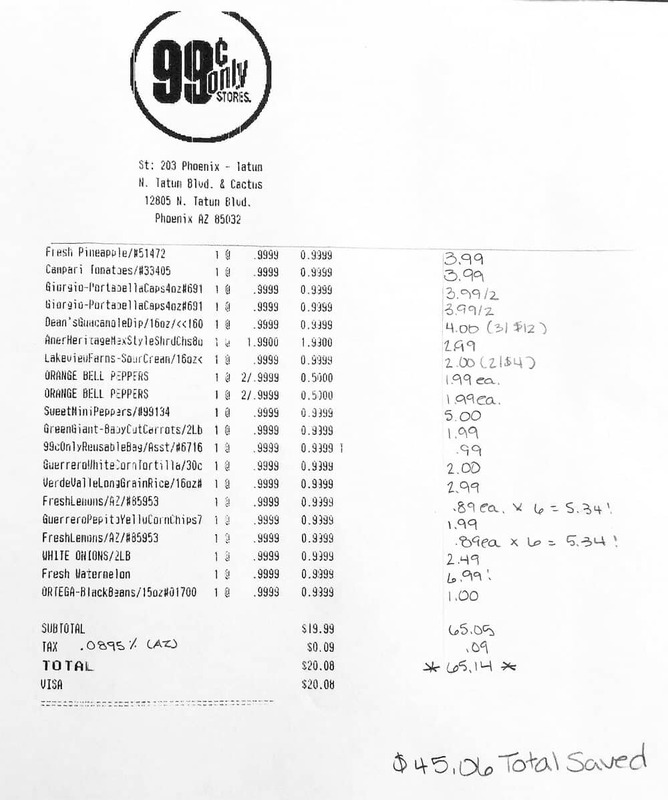 I photocopied my receipt so that I could reference my purchases and get the closest possible items for comparison. In many cases, I was able to find the exact same brand, size, etc. Yes, I saved a whopping $45.06 by doing my shopping at the 99! I was so impressed, that I now plan to make weekly trips there and am even planning on doing a few more hauls/posts for you. This was so much fun! If you are interested in learning more, please visit the 99 Cents Only Store website. You can also check out their Facebook page, Instagram account, YouTube or Twitter. 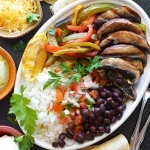 TO MAKE YOUR OWN FAJITA SEASONING AT HOME: Whisk together all ingredients and use to season your onions, peppers and portobellos. 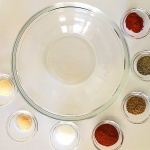 Save any remaining spices in an airtight jar. FOR THE FAJITA BOWL, prep all ingredients ahead saving the grilling of the portobello for last. Slice it and assemble the bowl. 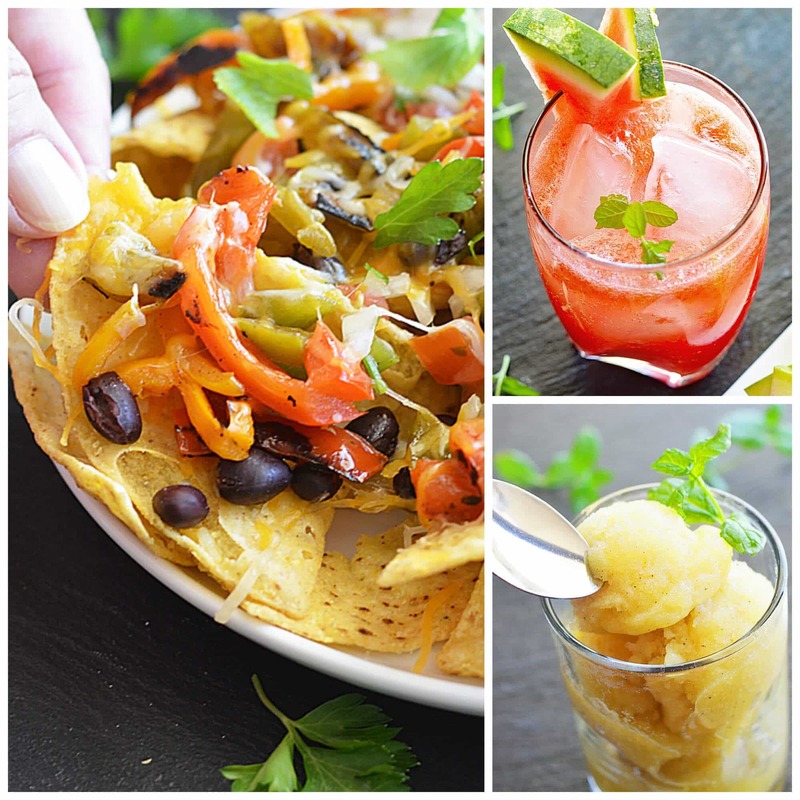 Serve with desired sides. 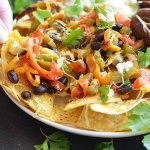 TO TRANSFORM YOUR LEFTOVERS INTO FAJITA NACHOS: layer the nachos with cheese, the fajita bowl ingredients and toppings. Microwave or oven-bake until the cheese is melted. TO MAKE HOMEMADE PINEAPPLE LEMONADE: FOR THE SIMPLE SYRUP: Heat 1 C Sugar and 1 C Water until the sugar is dissolved. GRILL, THEN JUICE 6 halved lemons AND 1 small pineapple. 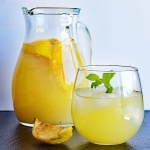 Add the simple syrup, grilled lemon and pineapple juice and 4 C cold water and some ice cubes to a large pitcher. Add a few lemon halves for garnish. TO MAKE THE PINEAPPLE LEMON SORBET: Simply pour the Pineapple Lemonade into a glass loaf pan or bowl and freeze until you are able to scoop. Thaw slightly before scooping if freezing overnight or longer. 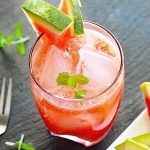 TO MAKE THE WATERMELON SLUSHIE: Place 4 c watermelon and about 10 ice cubes into a blender. Pour in 1/4 C lemon juice, 1/3 C sugar, and pinch of salt. Blend until smooth. TO MAKE IT A "FIZZ", add carbonated water just before serving. « This Mother’s Day Is Better With Butter!